He won't be the best for long, the fame will catch up with him and he'll end up like Ronaldinho. Yeah and i prefer watching Torres play over him and Martins. Eboue, Denilson and Bendtner score in Arsenal's 3-1 victory over Bolton. Arsenal top of the table. First competitive appearance for the club and he scores a hattrick. Wilshere the 16 year old scored as well. Average age of the team 19!!! Vela's chip goal is amazing. Shame you couldn't see it in High Quality. In the video says that is the second youngest scorer behind Cesc... Cesc FTW!!!!!!!!!! Edited by lakerstefi, September 24, 2008 - 07:40 AM. dats my boy!! carlos vela!! His name is Jack Wilshere. Amazing player, he caused havoc against Inter Milan. lmao :lol: y would anyone think hes homo? Edited by netlord, September 27, 2008 - 09:35 AM. He is a good player with a horrible attitude. 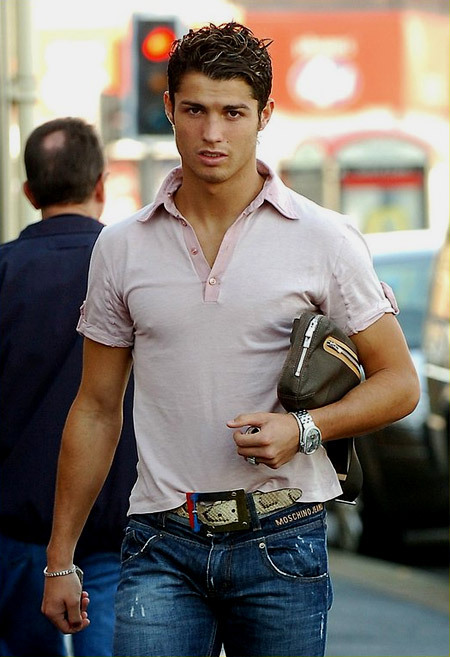 yeah..ronaldos got bad attitude..but hes 1 of my faves.